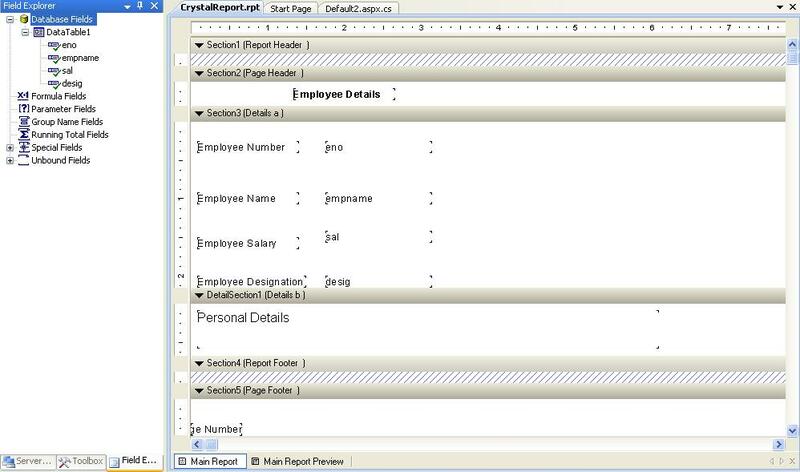 How to create sub reports in crystal report? In this article I am going to explain about the sub report concept in the Crystal report. 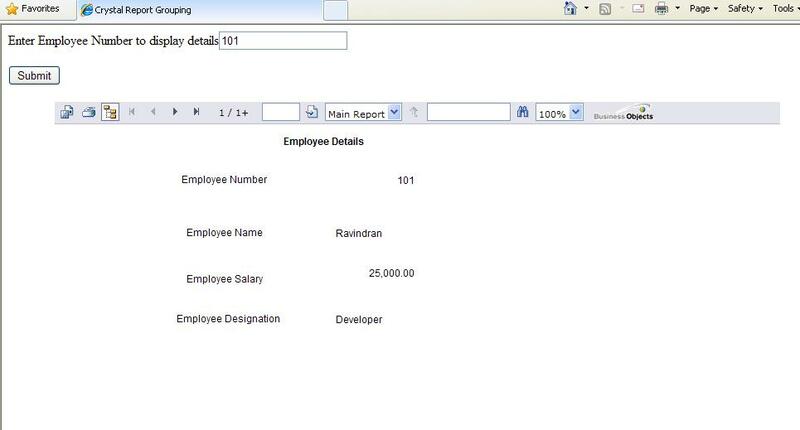 This concept is may be used in your project to show relevant details of the user in other report. Here I am explained in simple way. 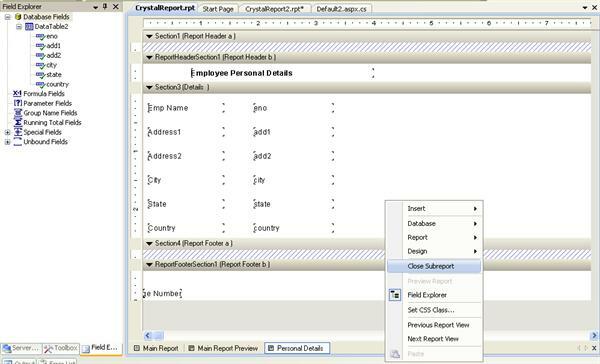 Learn how to create sub reports in crystal report? 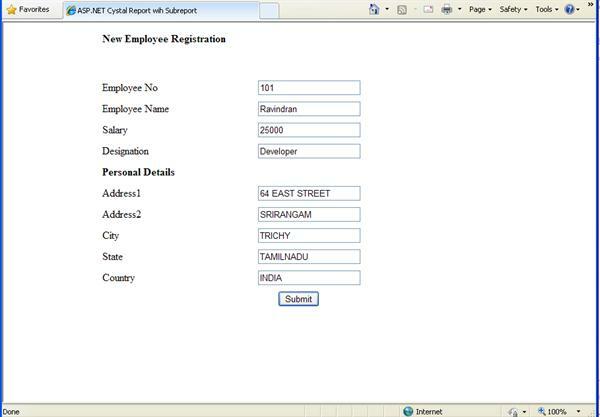 For an example I have collect employee details and store in the two different table. First table I store employee professional details and the other table I store the employee personal details. When customer take a print of particular employee detail that time we need to show both details (Professional and personal). 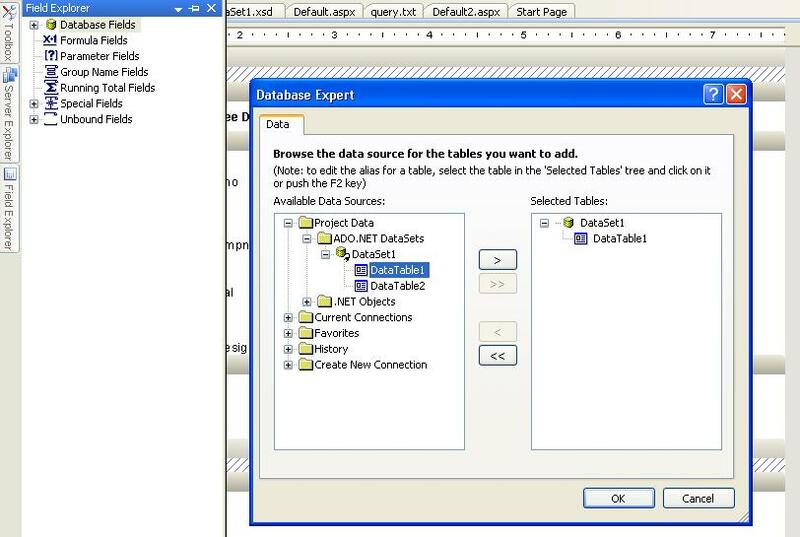 In that situation Sub reports is one of the option to bind data in separate report sheet show it to customer. 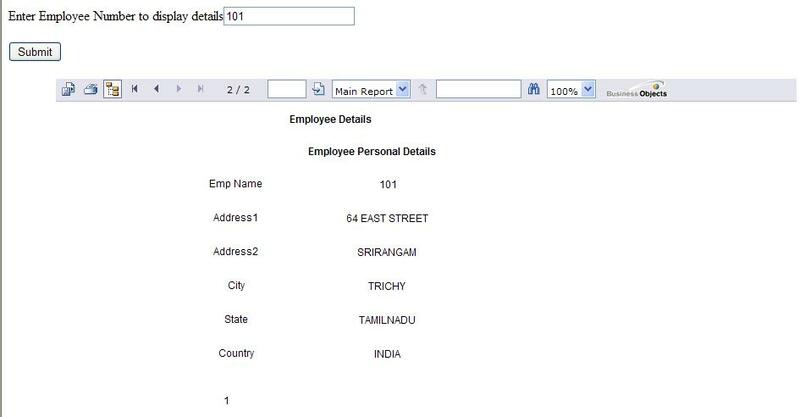 In this page I am collection information about the employee like professional and personal details and store it in two different table. 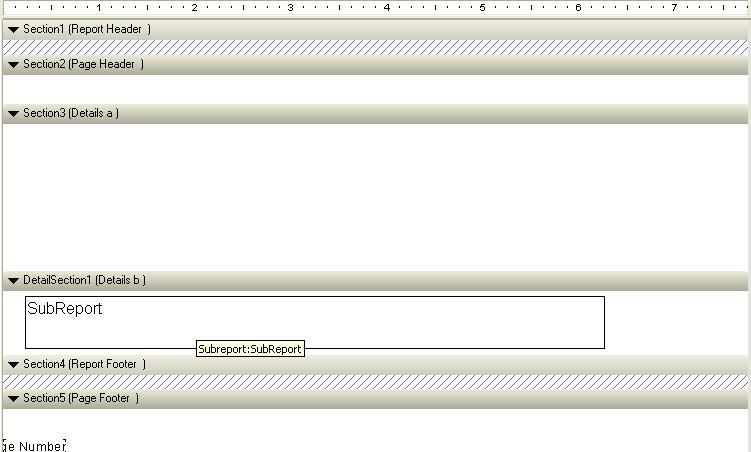 Sub report display in next page. 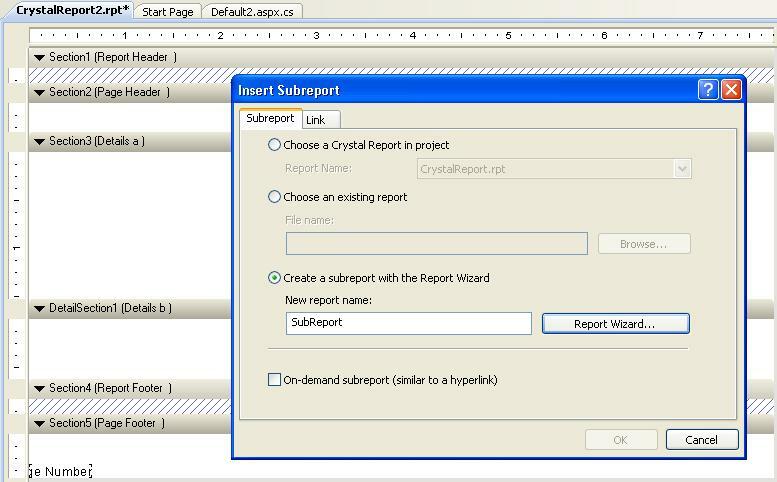 Here with I have attached source code Crystal report with sub report example download it and try it. I hope this article help to know Sub Report concept in crystal report. I am getting error after attached your folder in VS and build the project at my locale machine. please see the below error. 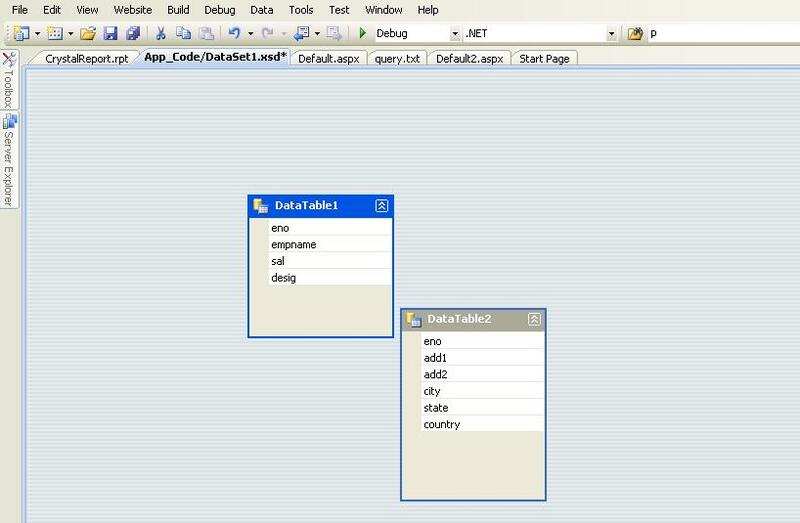 Make sure you bind interger value to integer data type vice versa. If you bind varchar data to numeric then you got this kind of error. Hello sir, can I insert another sub report in main report.